The Internet of Things Convention Europe has the ambition to stimulate businesses and organizations to discover the huge potential of IOT. Nowadays everything is connected to the digital world, which creates new experiences and lots of opportunities. The benefits of this all-round connectivity are huge. For the users, the customers, the providers and all different industries those are: a better customer experience, active monitoring, more security, lower operational costs, higher energy-efficiency, proactive maintenance and a faster technical support. How will IoT-applications create new business opportunities? And what trends should you keep an eye on? Over 40 experts will give an answer to these questions and no less than 55 companies will demonstrate their capabilities, platforms, technologies and services. The Internet of Things Convention Europe targets the following audience: CEO’s, COO’s, Strategists, CTO’s, CIO’s, Business innovation consultants, Organizational and IT-consultants, Digital Transformation experts and those involved in pushing a digital transformation agenda. 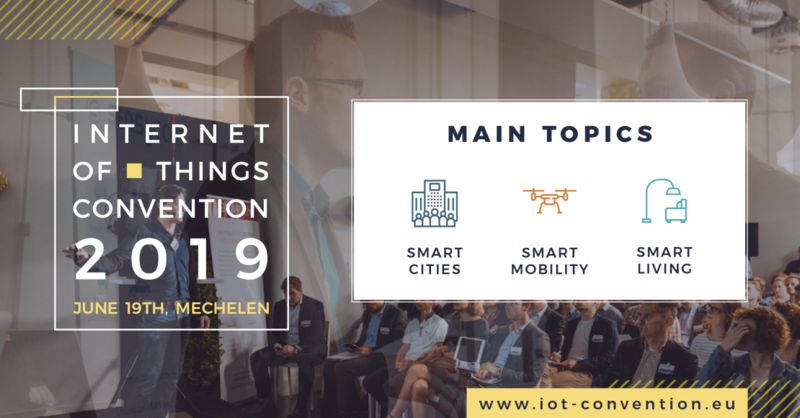 The 2019 edition will focus on smart mobility, smart living and smart cities as main topics. The advisory board features Pieter Ballon (VUB), Steven Latré (University of Antwerp), John Baekelmans (IMEC), Nathaly Dumaray (VVSG), Ferdinand Casier (Agoria) and Peter Buelens (Brewery of Ideas).